This architect designed free standing villa features 3 large double bedrooms, 2 bathrooms and double lock up garage. The construction of all 11 contemporary villas has begun! Set in a small and peaceful neighbourhood, the villa has its own private undercover outdoor area, landscaped gardens all on an private parcel of land which is fully fenced together with the peace of mind of living amongst friends. 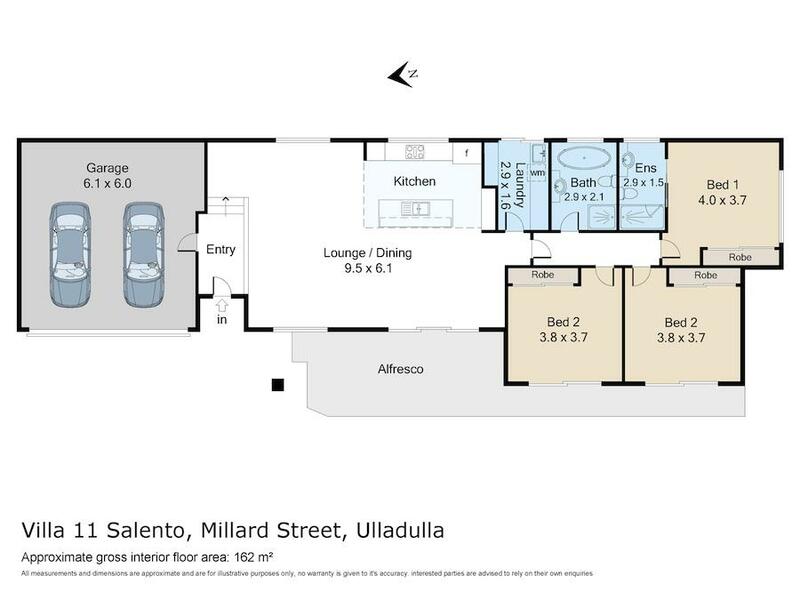 'Salento' is the perfect opportunity to down size to a brand new home, in a welcoming community style complex.